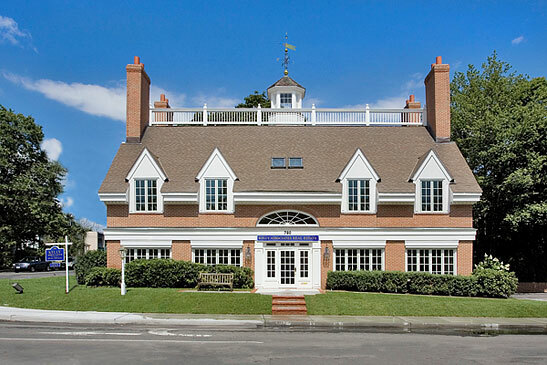 Houlihan Lawrence's Darien Brokerage is an independent, family-owned real estate boutique focused on serving the Darien and Rowayton communities. We are the leading real estate firm in Darien, having handled more transactions in town than any other firm in each of the past seventeen years. In fact, we handle nearly twice as many transactions each year as our nearest competitor. At Houlihan Lawrence, we believe that the real estate business is much more about people than it is about property. The hallmark of our business is the meaningful relationships we develop with our clients—both buyers and sellers alike—as we guide them through the home buying or selling process. Our comprehensive services provide buyers with access to every available home and unparalleled marketing and sales support for sellers. We live here, we work here and we play here—as such our agents know first-hand the neighborhoods, the beaches, the schools and the many other features that make our community so very special. Houlihan Lawrence agents are actively involved in virtually every facet of life here and, as such, possess an unparalleled level of knowledge about our community. Our commitment to understanding and serving the Darien and Rowayton communities simply cannot be replicated by the national or regional firms who lack our same focus. Whether buying or selling a home here, Houlihan Lawrence possesses the local knowledge and unique expertise to exceed even the most demanding expectations.